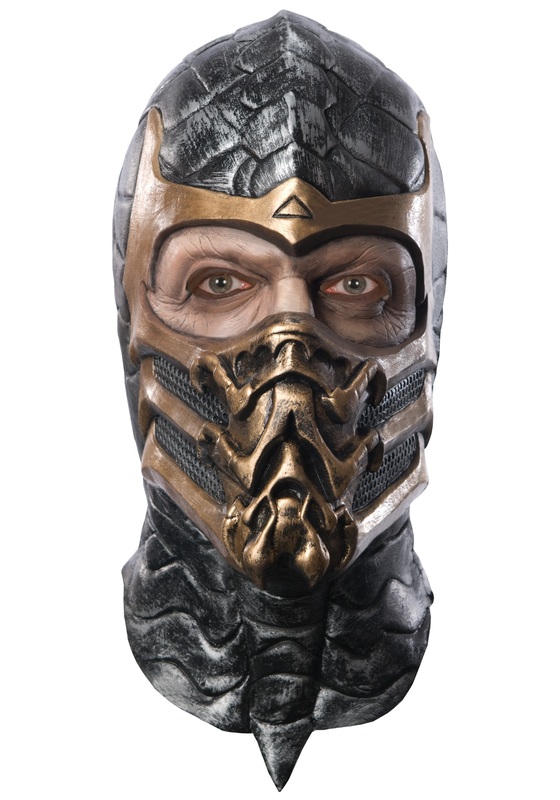 Become the ultimate undead ninja spectre who seeks revenge for his death and his family in this Deluxe Scorpion Mask. This natural rubber latex mask features Scorpion's armored face with metallic gold mouthpiece. There are two slits for easy vision. This mask compliments any of our Stormshadow costumes.